It’s certainly no secret that Taylor Swift concerts are star-studded affairs. 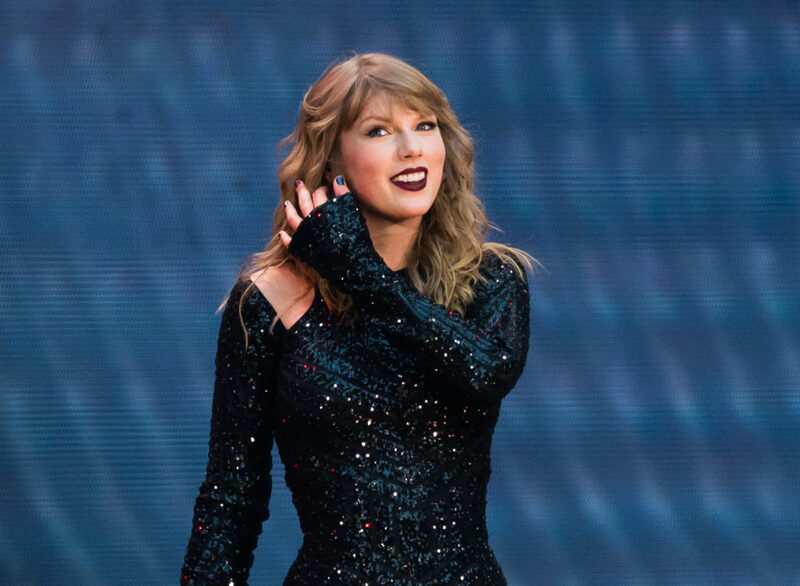 But while the “Delicate” singer is no stranger to celebrity guests on-stage, her recent London show — which was part of her Reputation international tour — featured some famous faces off stage as well. After her Wembley Stadium show in London, Swift posted Polaroid selfies with none other than Adele and J.K. Rowling (NBD, guys). The singer expressed her gratitude for both artists, revealing she was “so stoked” to have them at her London shows. "I’m so grateful for these women, for the words they’ve written and the worlds they’ve created through their art.. so stoked to have you at the show in London @adele and JK ❤. Always." While we wish the three had all hung out together on stage, we honestly don’t know if our hearts could have handled it. Adele and Rowling weren’t the only celebrity guests to join Swift on the U.K. leg of her tour. Niall Horan joined Swift for a duet of “Slow Hands” during one of her London performances, and Robbie Williams popped in to sing his song “Angels” the other night. With the U.K. portion of her Reputation tour complete, the “Look What You Made Me Do” singer is set to return to the U.S., where she’ll tour the East Coast and Midwest — and let’s hope there’s no shortage of surprise celebrity guests on this side of the pond, too.